My friends, the alchemists at Baume et Mercier are at it again. Brewing up something for this fall. Its directed at all of us die-hard racing enthusiasts. 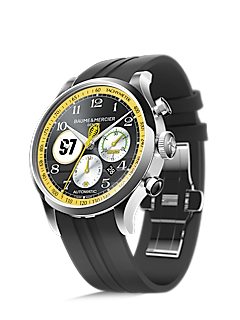 Last year, Baume & Mercier surprised and delighted us with the release of the Capeland Shelby Cobra collection. Created in partnership with Carroll Shelby Licensing Inc. in Las Vegas, the line was a complete success, so this year they are doubling down. Baume & Mercier recently hosted the first European Shelby only gathering, featuring authentic Shelby American cars at the famous Castellet racetrack in Southern France. 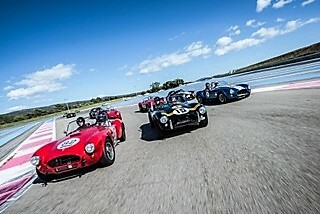 Cobra collectors from all over the world came together to relive the high-spirited heyday of car racing and experience the adrenaline rush that the original Cobra drivers must have felt. Baume Mercier is now introducing to us the newest generation, the Capeland Shelby Cobra and the Capeland Shelby Cobra 1963 Limited Edition Competition watches. The new pieces represent an amalgam of Shelby confidence and endurance, and great Baume & Mercier design and craftsmanship. In tribute to the drivers of the legendary CSX2128, Baume & Mercier unveiled four new Capeland Shelby Cobra 1963 chronographs at the Castellet Circuit event in the name of four legendary drivers: Dan Gurney, Ken Miles, Dave Mac Donald and Allen Grant. The watches are all limited edition and sport racing lined dials and, at 9 o’clock, the racing number of these four drivers (Dan Gurney #15, Ken Miles #50, Dave MacDonald #97, Allen Grant #96). I had the opportunity to “test drive” one of the Cobras for a week, The model I was sent was the 10281 Capeland Cobra Chronograph. The watch features a tachymeter for measuring speed, a necessity for any racing watch, and a beautifully racing striped dial. 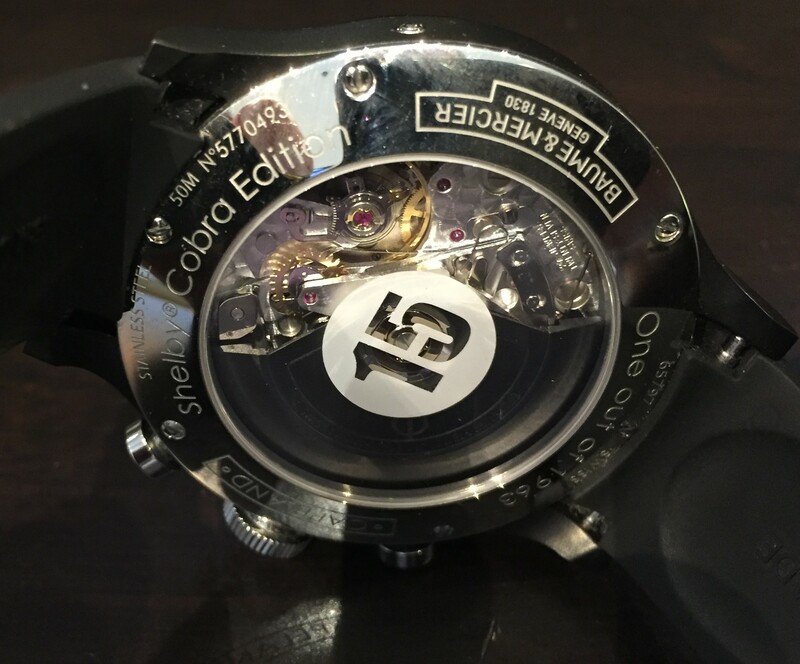 The dial is made legible with green light emission SuperLuminova markers as well as front and back anti-glare crystals for easy readability. The case back is engraved with the name of the collection, as well as the words “One out of 1963,” referencing the number of limited-edition pieces and to the birth year of the car it pays homage to. The Competition model I had is fitted with an integrated rubber strap. The 44mm case wears smaller thanks to the domed crystal and matte finish and is water resistant to 5atm. The Capeland Cobra Chronographs are powered by the self-winding Valjoux 7753 chronograph, featuring a date and 48 hours of power reserve. 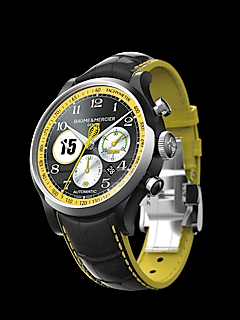 The cases are in either polished satin–finished steel or steel-ADLC with straps in vulcanized rubber or alligator, each of these four Capeland Shelby Cobra 1963 Legendary Drivers Edition watches features a variation on black, white and yellow: the dial, tachymeter scale and straps are inspired by color combinations on the CSX2128’s bodywork. The Cobra logo, the ubiquitous snake head, marks the seconds hand of the chronograph and tachymeter, and claims the spot as a symbol of the timeless pursuit of speed. Each piece is sold in a black and yellow display box with a miniature Cobra 289 Sebring CSX2128. The estimated retail is just about $4,450 for the leather strap version and $4,550 for the rubber strap model. The collector pieces will be released in October of 2016 and will be in a limited series of 15 in honor of the Cobra CSX2128’s first racing number and engraved with the name of each driver they represent. The watches celebrate the Shelby Cobra 289 Sebring CSX2128 – one of the more legendary Cobras in history. This was the car first born in Carroll Shelby’s Venice, CA factory. It was the Cobra that endured the 12 Hours of Sebring in 1963, and then raced to historic glory in 1965 for the FIA Internationals Championship of GT Manufacturers. Also keep an eye in the news at RM Sotheby’s because Caroll Shelby’s very first cobra will soon hit the auction block, what an exciting year for cobra enthusiasts. 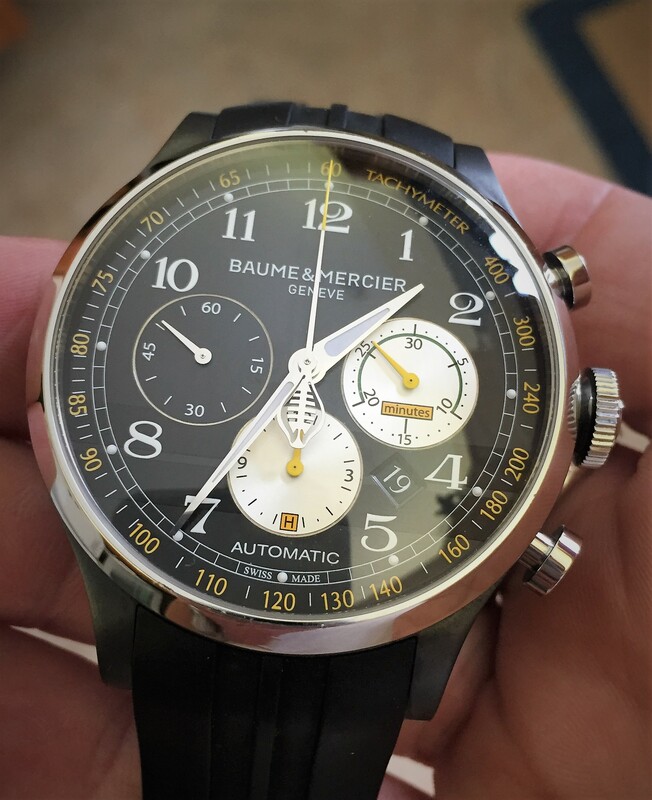 I really enjoy all of the new and exciting things coming from Baume et Mercier, and I think the job that they’ve done capitalizing on the relationship with the Caroll Shelby organization is incredibly swell! 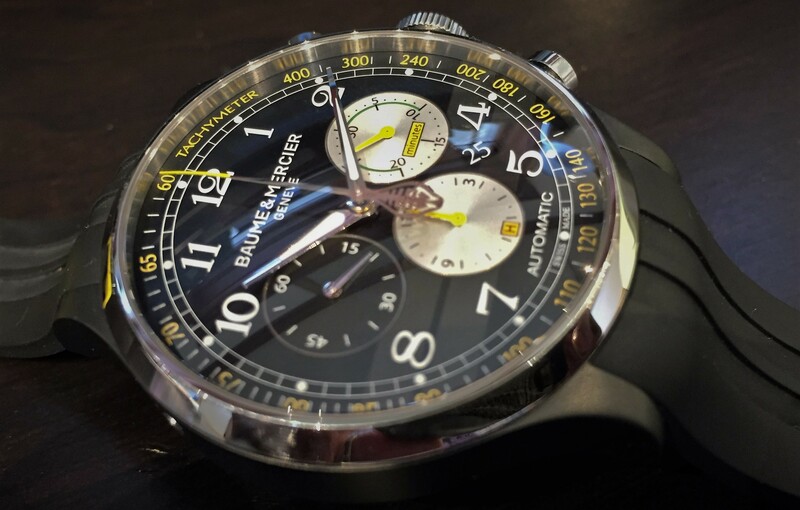 This entry was posted in Baume et Mercier, How to live, Watches and tagged automatic, Baume et Mercier, Capeland, Caroll shelby, cars, Chronograph, csx2128, heritage, horology, limited edition, racing, shelby cobra, stopwatch, Tachymeter, Valjoux, Watches. Bookmark the permalink.